The Jewels of Miriam Haskell is the first book completely devoted to the story of Miriam Haskell, one of America's most distinguished fashion jewelers. Like her design predecessors in the Art Nouveau era, Miriam Haskell sought to design and manufacture jewelry that evoked nature in their subjects and construction. Haskell first began making jewelry commercially about 1924, and intensively begain to create her unique flowers, animals, and other organic materials in her jewelry. Miriam Haskell jewelry has always been noted for the detailing, which directly translated into the time it took to make and thus the cost, and for the asymmetry of many of their designs. Over 200 examples (bracelets, necklaces, brooches, earrings and parures) from the most significant European and American collections illustrate the styles of the small number of designers who were associated with the House. Creativity, technical skill and the varied sources of inspiration have made this jewelry the undisputed stars of period jewelry collections. Place your cursor over the book cover or title to see the Amazon.com discount price, availability, and a link to buy the book. 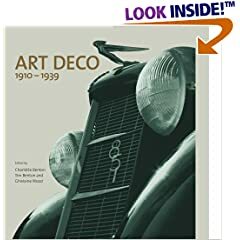 Alternatively, click on the book cover or title to go directly to the Amazon.com page with full information about this top rated collector book. Your purchases through Collectics Collector Bookstore are securely processed and shipped by Amazon.com and help support our free programs like the Antiques & Collectibles Quiz, Reference & Education, and the Decorative Arts Museum 1890-1935. Thank you! Learn what's new this month at Collectics- your antique and vintage home furnishings, jewelry, antiques, and collectibles store. Collectics uses HP computers and web site hosting & domain name registration at GoDaddy.com- find out why!